Build-a-lot: Fairy Tales is rated 3.9 out of 5 by 60. Rated 5 out of 5 by CoffeeBabe_28 from Best of the Build-A-Lot Series I discovered the original Build-a-lot back in 2008, here I am 10 years later finally getting around to a review. I have purchased several of the sequels even though the game mechanics didn't change much because they are simply fun. This game has a high replay value for me and is well worth the purchase. For those of you familiar with the Build-A-Lot series this one is unique with it's fairy tale setting where instead of standard houses you are constructing villages for fairies and the like, I found it to be an adorable twist! If you are a rookie to time management you will likely find this to be an excellent challenge, seasoned time managers will still be pleased but may find this a tad more relaxed than other games currently available. If you have never played: You will have a neighborhood screen for each level, you purchase vacant lots, source wood from those with trees and build specific number of houses while racing the clock. 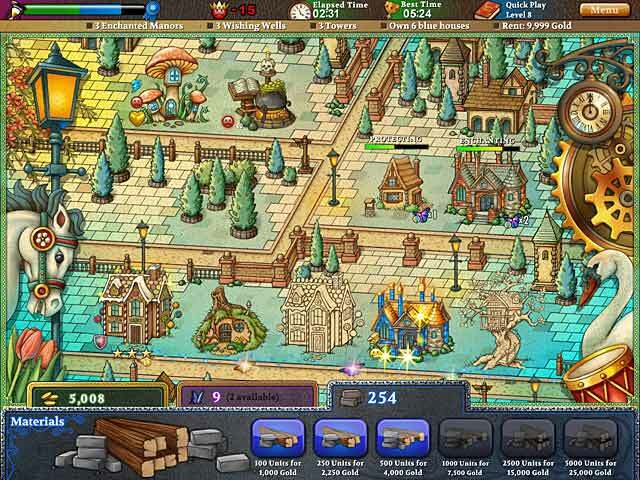 As the levels progress you will add parks, municipal buildings, lumberyards, etc. and will progress to the buy low and sell high concept and encounter more challenges like homes that require repair before they will pay the specified rent or gold (because what else would fairies pay with?) 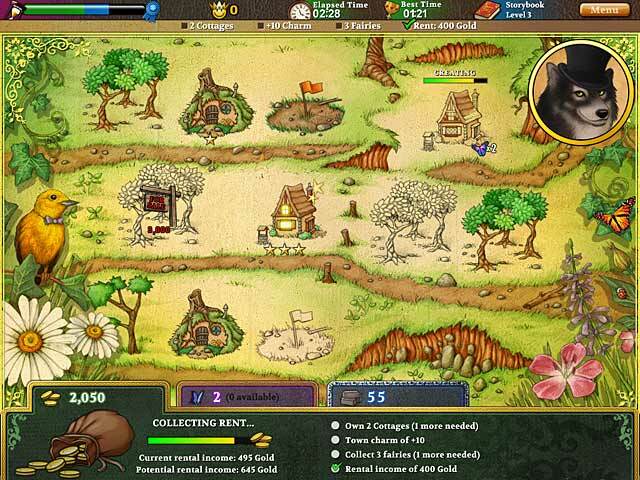 Overall, a delightful game that can be entertaining for hours! Rated 5 out of 5 by Lorera from First time management game & I'm hooked I love the fairy tale genre so I went for this game. Each chapter is told by a different character. 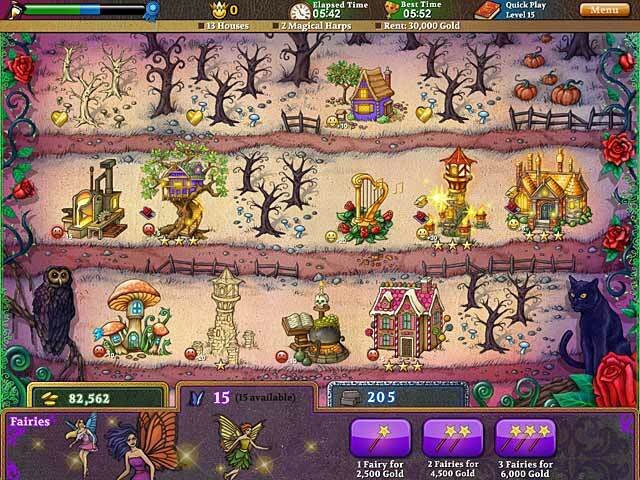 IN each chapter there are about three levels to play. It starts easy but, gets harder. I had to look at the walkthrough to get an idea of how to proceed. Each level has a logic that make it work. There is also a casual play and even harder levels. This game is also beautiful to look at. Rated 5 out of 5 by maurine1 from Fun Distraction... Fun and easy game for a short distraction. Each level only takes a few minutes to play and the levels are wildly addicting. Great game for the price! Rated 5 out of 5 by sashasabre from Enchanting! This is my hands down favorite Build A Lot game. The story line is charming. I love the variety of the different types of houses as well. I found the game challenging but not impossible. I would recommend this game to anyone who is a beginner to intermediate level time management game player. Rated 5 out of 5 by grandmacathy from Another winner! Best Build-a-Lot so far. I love the Build-a-Lot games, and this one is no exception. I especially love the fairy tale aspect. Building sweet little homes for the forest creatures is wonderful, and the dragon burning down the buildings is just plain cute. The part that I really enjoy is the butterflies. When you finish a level, a plethora of multicolored butterflies come pouring down the screen. How delightful!!! Needless to say, the graphics are great and the game is as addicting as its predecessors. Another winner for Big Fish! 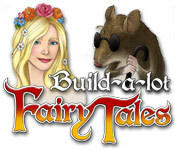 Rated 5 out of 5 by MoM4_5 from Amazingly fun and challenging At first, I thought Build-a-Lot: Fairy Tales would be too silly, but this game took my house by storm! I started playing it and pretty soon my husband wanted to play it too. He enjoyed it so much he played for FIVE HOURS straight! We spent the weekend swapping the laptop back and forth. Rated 5 out of 5 by TREE3 from BOL always unique This BOL was a nice twist in the traditional and the storyline was wonderful and a nice change of pace. Rated 5 out of 5 by pepe1970 from Love all the build a lot games. This game was just as good as the others. I enjoyed it and would recommend it to anyone.